I love how the crisp lines of modern style bring a sense of sophistication and order to a space. A design style I love even more: Modern Comfort. A home is where you’re supposed to unwind, make memories with your family, and truly relax. Yet... you still want your space to evoke a sense of inspiration. 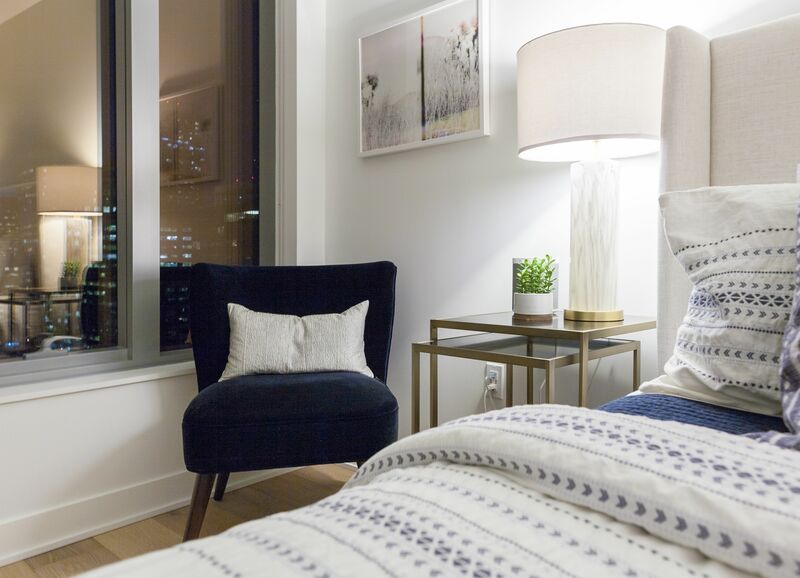 This is why Modern Comfort is such a great genre — it’s founded in sophisticated style but provides all the coziness you deserve. A perfect way to #mixitup! The most obvious and fun way to warm up a modern space... add soft textures! Modern furniture is beautiful and clean, but creating a soft landing for yourself will amp up the cozy. Try adding pieces made from cashmere, shag, linen, velvet, fleece, mohair, or mix a few! The iconic Eames chair gets a coziness upgrade with mohair instead of leather. Image source. This faux angora chair combines the legs of a modernist piece with a far more welcoming seat. Image source. 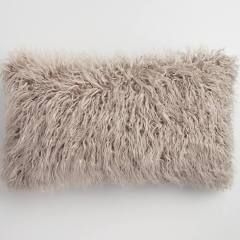 Never underestimate the power of a stylish, fuzzy pillow! Image source. One reason people tend to avoid modern-only design is that it can sometimes feel a little cold or lifeless. This is precisely why mixing this genre with more natural materials, such as wood, rattan, or even indoor plants, is such a good idea. It adds warmth and life. Natural wood can give modern styles a warm and summery vibe. Image source. Exposed wooden legs and frames (plus cozy textiles!) keep this all-white space from looking sterile. Image source. A plant and flowers create a lively space and nod to the beautiful greenery beyond the windows. Image source. Since modern spaces generally adhere to solid colors, an interesting pattern or two will provide precisely the diversity our eyes need. Just make sure your chosen patterns work with the decor! Rugs are a cozy two-for-one: pattern and texture. Image source. Another great rug choice. Image source. Modern chair in soft velvet + Geometric patterned duvet = Modern meets comfort! Image source. While modern style leans toward minimalist space planning, a Modern Comfort style makes a space feel more full. It’s a bit of a fine line, though. Too many pieces can leave you feeling claustrophobic, so you may want a practiced hand to help! Check out our Modern Comfort Pinterest board and keep an eye out for the next chapter in our #Mixitup Mini-Series: Modern Traditional!